inspired you to make this type of deck? steampunk is a very happy world, indeed. time before developing the idea and presenting it to my publisher. portfolios of artists that might be a good match for the deck. being fairly active on the Goth scene. of whatever that I sent him. Is The Steampunk Tarot an RWS style deck? steampunk is that of individuality rather than consistency. 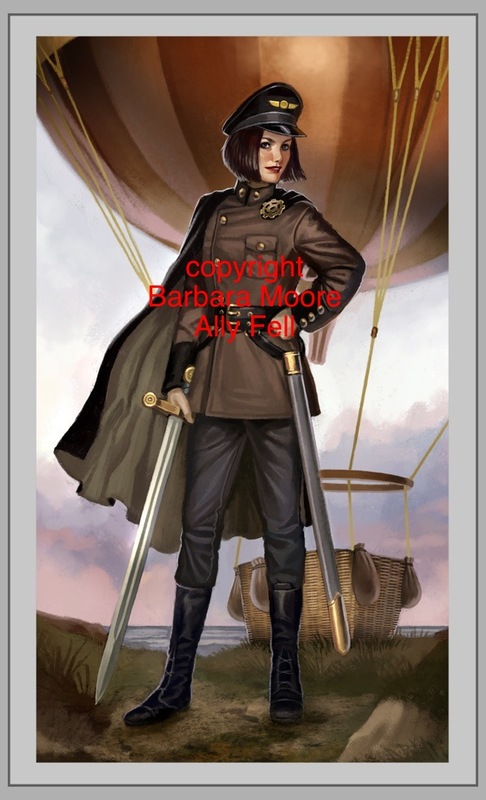 love her sharp haircut – very Swords! – was that deliberate? the story with this Page? Why is she on the seashore for example? you joogled around the Court sexes a little?! share with me for the blog? having the least sphere of influence but being the easiest to manage. Many thanks to Barbara for talking with me about this new and beautiful deck! Thanks, Alison, for inviting me to participate. The Page of Swords and I had a lovely time! It's fascinating to read about the creation process behind a deck, and especially behind these subtle courts. Makes me all the keener to get my hands on this beauty! Thanks to you and Barbara for this insight. I love finding out about the creative process too! Still too long to wait now before you get your mits on them!